1. Temperature and humidity. Wine ages best in cool environments. Therefore, choosing the right temperature is key to receive a quality wine - in most cases 55°F (13°C) is best. Always keep the temperature consistent as any environmental changes can wreak havoc with your wine. Possible dangers: Temperature fluctuations can result in the cork running dry and cause it to shrink which will invite air into the bottle - a temperature fluctuation of more than 3°F (1.6°C) per day could be deadly for a good wine - oxidation would spoil it. Another important aspect is the humidity in the chosen storage room that should be between 65 % - 75 %. This will also prevent the corks from shrinking so oxygen cannot enter the bottle which may as well lead to mold growth. 2. Storing position. For optimal aging the wine has to be stored in a dark and temperature controlled place with still surroundings. The bottles should therefore be stored in a room that should not be entered often as the vibrations of, eg. footsteps, can negatively impact a good wine and ruin all the hard work put into it. Constant vibrations can wreck a wine. You can observe this especially with wine bottles that are kept on refrigerators. Storing position: the position is key! As you already know, the cork acts as a seal and must therefore under all circumstances remain moist. That means direct contact between the liquid and the cork has to be ensured during the aging process. So the best position is to keep the wine bottle sideways in a 45° angle to moist the cork. This way, oxygen will have no chance of entering the bottle and your wine will not oxidize. 3. Dark environment. Wine bottles need to be stored in a dark storage room as direct exposure to light will affect the flavor tremendously and will cause premature aging of your wine. This is especially important for white wines which are very sensitive while storing. One way is to buy wine bottles with UV filters that ensure a higher protection, but nonetheless a dark storage room is crucial for the final flavor to be qualitative. Moreover, it is very important to store wine bottles away from any kind of products with a strong smell as wine "breathes" and could soak in these strong smells which would negatively affect the wine. Bottles should therefore never be stored in the kitchen or musty rooms. 4. Storing time. How long you can store a wine depends strongly on the type of wine that you made or that you have bought. The cheap store-bought wines will not improve flavor over time and are therefore unfit to use for this purpose. 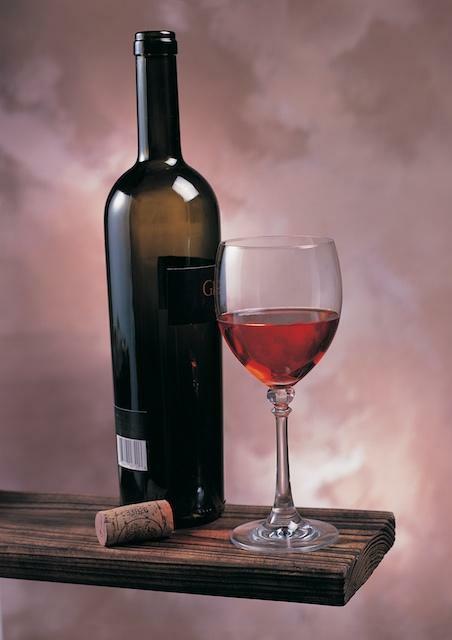 Red quality wines can be stored between 2 to 10 years to mature. But again, even this depends on the type of red wine and eg. sugar content, acid and tannins. For most white wines a storage time of 2 - 3 years is convenient - after that the wine is ready for consumption. 5. Serving temperatures. The best temperatures for serving wine are as follows: Light red wines should be served around 55°F (12,8°C ~ 13°C) while dark red wines taste best between 59°F - 66°F (15 - 19°C). Blush, rose and dry white wines like temperatures between 46°F - 57°F (8 - 14°C) and sparkling wines as well as champagne are best served at the coolest temperatures of 43°F - 47°F (6 - 8°C). Keeping all these steps in mind aging your wine leads to full aromas and a good final flavor.